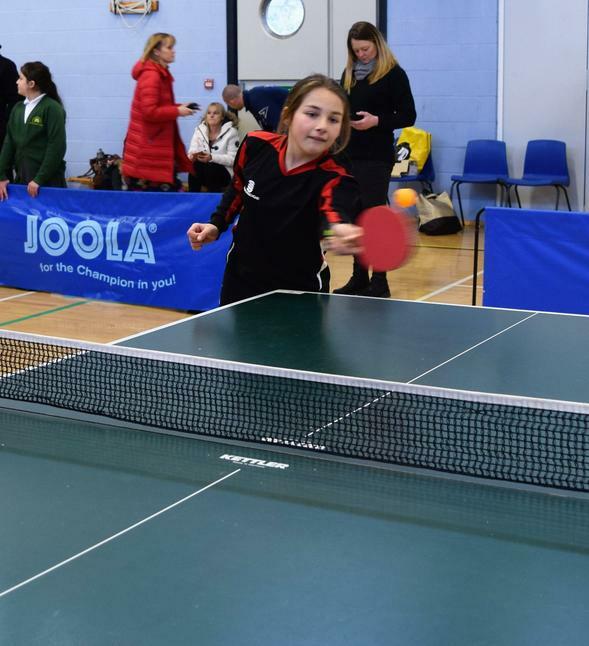 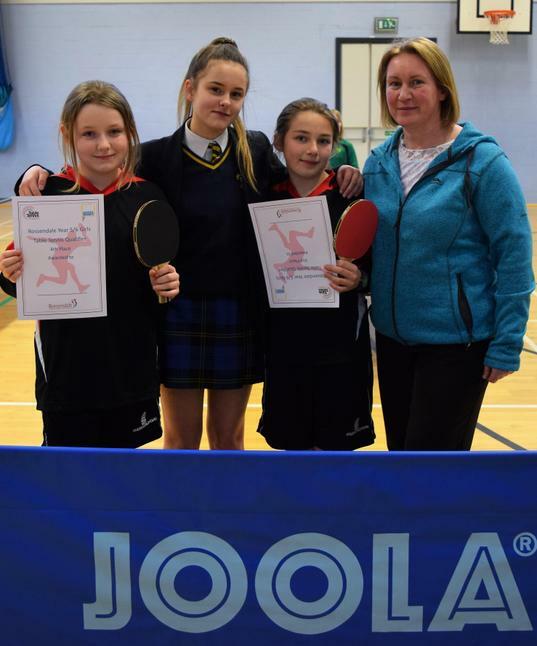 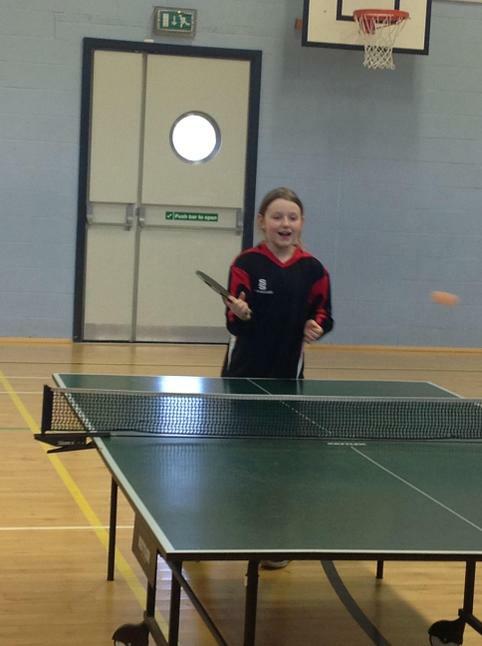 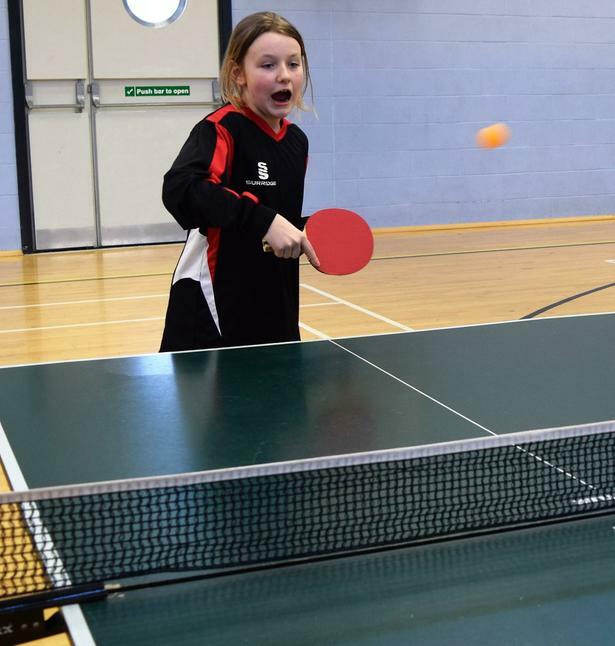 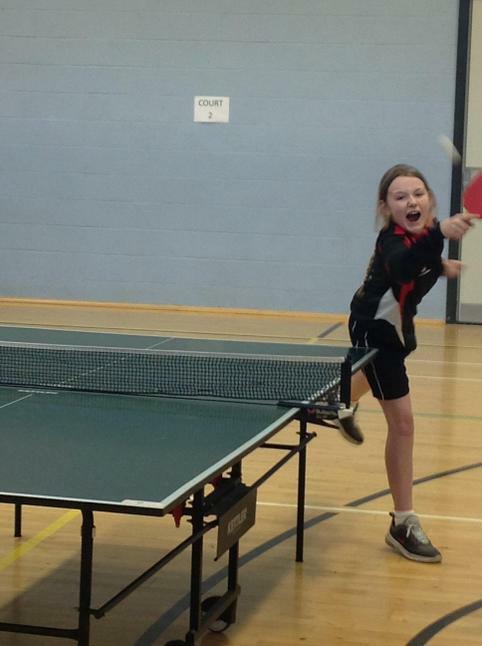 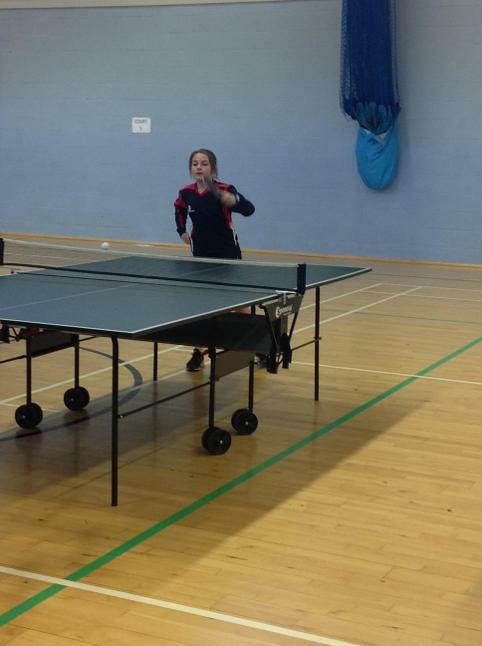 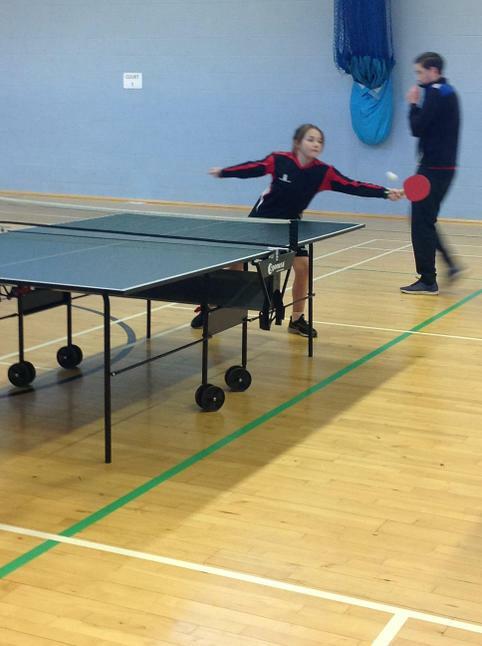 Year 6 pupils, Abriella Bingham and Faye Hughes represented Thorn at the Rossendale School Games Table Tennis Tournament. 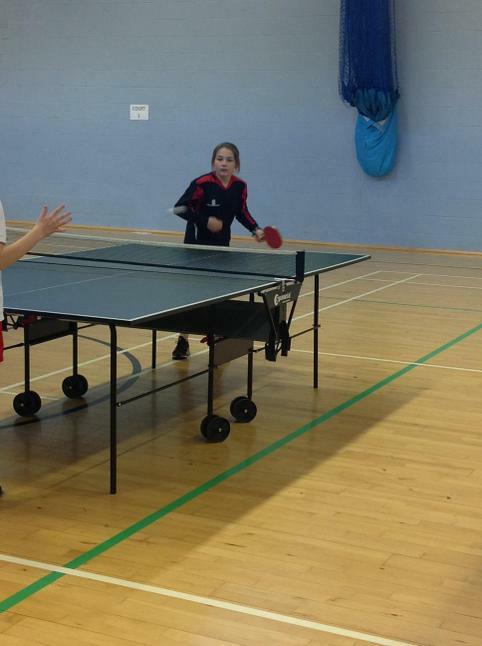 The standard was exceptionally high and both girls put in great performances. 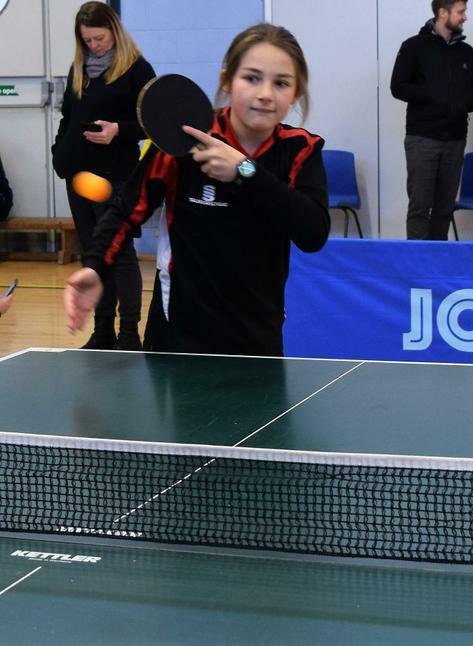 Faye finished in 4th place in her group and Abriella finished in 2nd place, narrowly missing out on a place in the quarter finals. 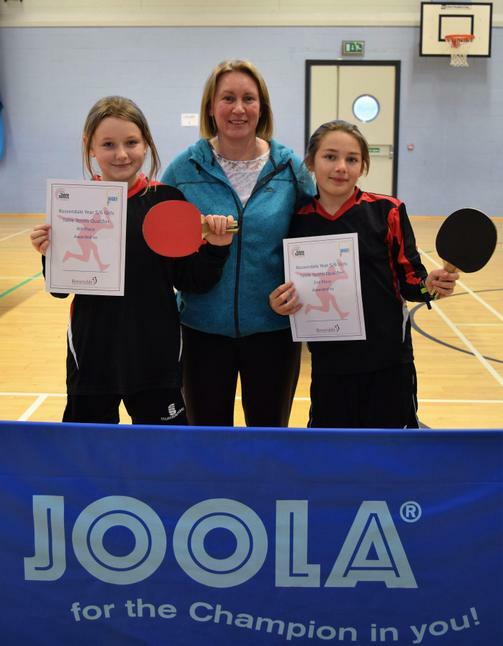 Well done to both of you and a special thank you to Miss Edwards for being a fantastic coach. 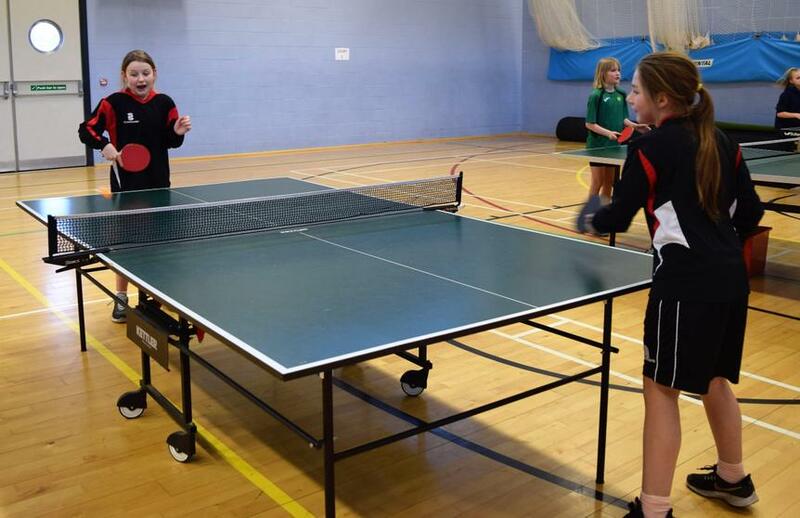 Our photos show; the girls in action, with Miss Edwards and with ex-pupil and Sports Leader Hayley Bekier.